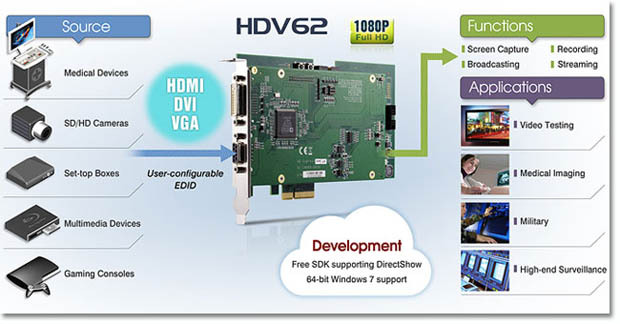 The advanced HDMI video & audio capture card, PCIe-HDV62A, is also available now! The PCIe-HDV62 is a PCI Express frame grabber offering uncompressed image acquisition and video streaming in full 1080p HD. 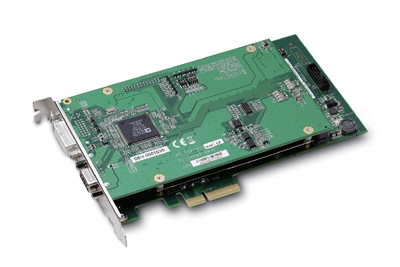 The ADLINK PCIe-HDV62 provides 1920x1080p resolution, progressive scan, and noise reduction for greater image quality. Equipped with a field programmable gate array (FPGA) and 512 MB memory buffer, the PCIe-HDV62 offers the ability to stream uncompressed image to the host PC, in addition to color space conversion in real-time via on-board hardware in order to offload repetitive tasks from the host CPU. 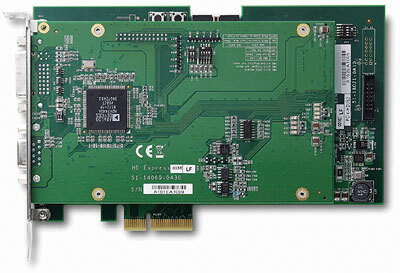 Based on the PCI Express x4 form factor, the PCIe-HDV62 is specifically designed for medical imaging, scientific imaging, and military application system integrators by providing uncompressed video streaming up to 1920x1080p at 60 fps and lossless pixel information for both spatial and frequency domain analysis. Real-time color space conversion, supporting RGB, YUV, and monochrome pixel output formats, is also performed on the PCIe-HDV62 in real-time to facilitate applications that require different color formats for different image analysis. As this color space conversion is performed via the PCIe-HDV62¡¦s hardware, different color formats can be obtained without consuming host system resources. 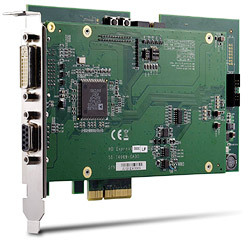 The PCIe-HDV62 also provides various video input support from both digital and component analog video inputs for HD (high definition) or SD (standard definition) video via a 170 MHz DVI input or through RBG and YPbPr analog component inputs. Image acquisition and deployment of the PCIe-HDV62 are greatly simplified through Microsoft® DirectShow, allowing system developers shorten time-to-market.